Bonjour Babies | Bonjour Babies is french for fun, for you and your little one! Older children learn independently from their parents in a fun, musical and interactive learning environment. Give your child the best possible start in life by exposing them to a second language as early as possible and reap the cognitive rewards. 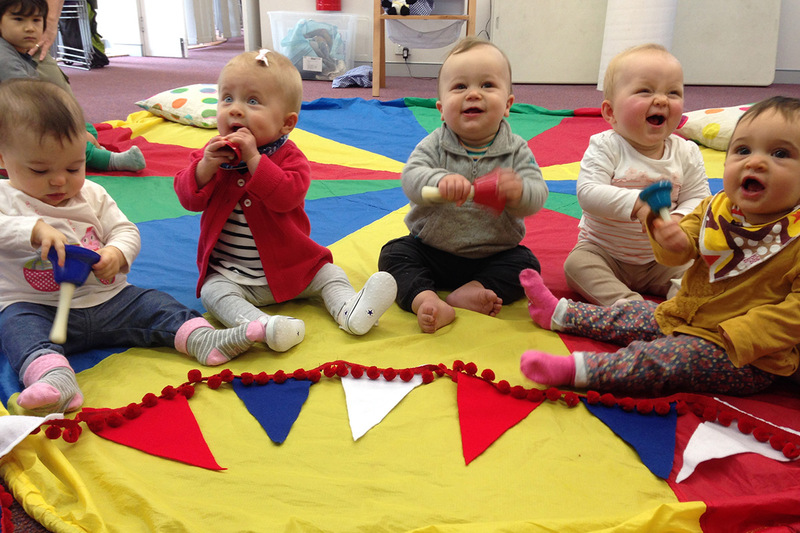 The ‘Babies’ group encourages learning through songs and reinforcing new key words & themes each week through puppet play and short stories. The ‘Toddlers’ program closely follows the structure of the ‘babies’ classes, using songs as the main method of teaching. 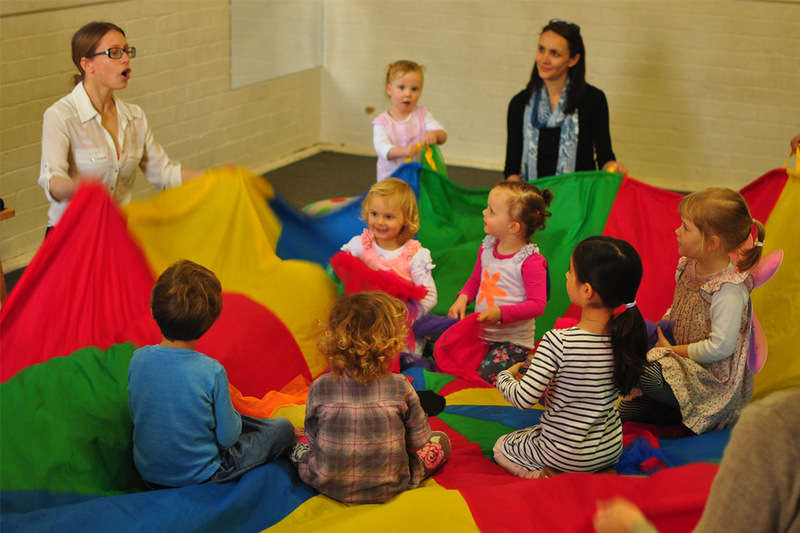 The ‘Bigkids’ program involves themed classes incorporating songs, games, stories, puppet plays, interactive play (including parachute games), and craft activities. The French Club classes provide an opportunity for children to learn independently from their parents. Bonjour Babies is a fun, engaging and interactive language learning program for children aged 6 months to 10 years. Our programs capitalise on the benefits of exposing children to a second language in their early formative years when the brain effortlessly and naturally acquires languages. Research shows that early exposure to a second language facilitates growth and integration of the developing brain, leading to improved cognitive functioning and superior reading, writing, analytical and even social skills. Bonjour Babies is based on the latest research relevant to language development, which isolates the first years of life as being the critical years for laying the foundations for later higher learning abilities that are life-lasting. We aim to create a fun, creative and stimulating learning environment where children can learn at their own independent pace. It is fun and it works! So we invite you to give your children a bilingual head start by joining us for songs, games and stories in French! Bonjour Babies has 4 groups divided into appropriate developmental age categories. Research has shown that children learn most effectively when more than one sense is engaged simultaneously. Hence Bonjour Babies programs have been thoughtfully planned to incorporate singing, movement, actions, and sensory props to promote the most effective learning and retention of a second language. The ‘Babies’ group introduces the French language through simple songs and actions, with new key words being introduced each week. Many songs are interactive, encouraging the caregiver to engage their child in simple actions to reinforce the key words and to create a fun shared learning experience! Sight words are given to the children each week, creating a record book of their learning. This program is designed to enable early language exposure in a fun, friendly social environment that is accessible to babies (as well as parents that may be new to the language). The ‘Toddlers’ program closely follows the structure of the ‘babies’ classes, using songs as the main method of teaching. Additionally, the children are exposed to more complex sentences and delivered verbal instructions to follow. Basic themes are introduced, such as morning routines, emotions, weather, eating and drinking language, and colours. Simple games using the parachute, as well as interactive songs are used to encourage the children to start verbalising the language in a fun and effective way. 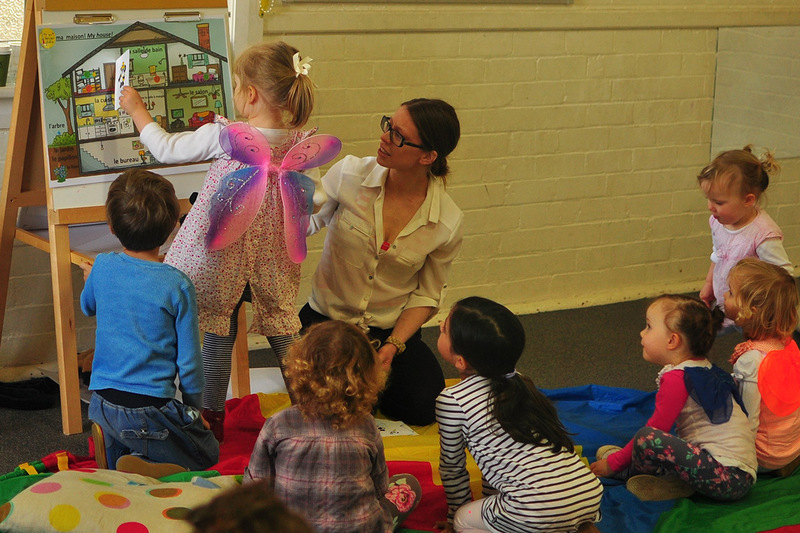 The ‘Bigkids’ program involves themed classes incorporating songs, games, stories, puppet plays, interactive play (including parachute games), and craft activities. Children revise the previous week’s themes at the beginning of each class and have regular routine of songs to instil a sense of mastery in the children. Collaborative learning tasks, such as making themed murals, are designed to elicit cooperative learning and shared enthusiasm for group outcomes. These interactive classes enable children to begin speaking the basics as well as improve their oral comprehension. Parents are not required to be involved but are more than welcome to participate. The French Club classes provide an opportunity for children to learn independently from their parents. They cover basic French language conversational skills, routine discussions (introductions, eating, drinking, daily routines), the weather, feelings, days of the week and numbers. Each term follows a theme, which is incorporated in the chosen activities, songs and learning aids. Children are encouraged to speak French by repeating phrases and participating in games that elicit their verbal skills. Instructions are also given to aid oral comprehension. Worksheets reinforce learning through different mediums, and give children the opportunity to revise their work at home. We place strong emphasises on learning through fun, so adapting the program to feed into the children’s interests is also imperative. Classes vary from 1-2 hours to enable a more intensive learning period. There is a plethora of research outlining the benefits of exposing children to second languages. Most linguists believe that the prime 'window of opportunity' to begin language acquisition is before six years of age. This is why Bonjour Babies is a leader in it’s field, as it’s the only group that exposes children to a second language from as young as 6 months of age. Recent studies suggest that learning a second language in early life stimulates brain development. This has abandoned previous concerns that learning a second language creates language confusion and speech delays. To the contrary, studies have shown that bilingual children have more extensive vocabularies than their mono-lingual peers. Bilingual children also outperform their mono-lingual counterparts in reading, writing, analytical and social skills. We also hold classes in Greenwood Early Learning Centres, Sally’s Place Mosman, and several public schools thoughout Sydney. 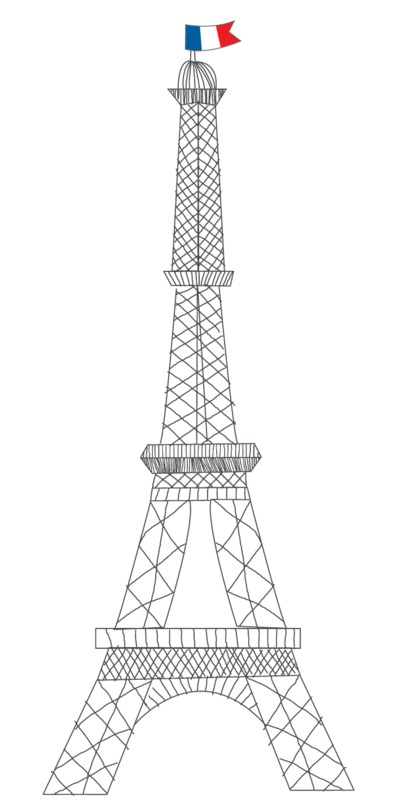 Please contact us if you would like to see our French Club at your child’s school. Do I need to be able to speak French to attend? All you need to bring each week is your child and you! For the Bigkids class the teacher often instructs the children to bring in an item from home associated with the following weeks theme, however this is not mandatory. Do the children actually learn French from attending just one Bonjour Babies class per week? Yes, in our experience, children who have started the group at a pre-verbal age, have readily joined in saying words in French and singing the songs once they became verbal. Even pre-verbal babies begin to demonstrate comprehension of instructions in French; for example, they will place the puppets away when instructed, or put their hands on their head when asked, without even being able to talk yet. Older children demonstrate a particularly fast ability to understand directions and instructions in French, and soon become confident enough to mimic what the teacher says and experiment with things independently in French. Obviously, the more exposure the better, hence we have take-home resources to promote this; however, the classes on their own are sufficient to forge the pathways in the brain that enable and encourage foreign language readiness and retention. Do I need to stay with my child in the ‘Bigkids’ class? No, if you feel that your child is comfortable with you leaving, you are more than welcome to allow them to learn independently. Do you have any resources available that aid learning between classes? Yes, we have a songbook available for purchase that outlines all of the songs we sing written in French, with English translations. Youtube links to most songs are also provided to assist you with recalling the tune. We also sell a theme book that features French and English translations of all of the themes the children cover in the ‘Bigkids’ classes, ranging from colours, animals, food, to basic conversational skills. The songs the ‘Bigkids’ learn (with English translations) are also included in this book. Lastly, we have a supporting CD available for purchase, which features 8 songs that we frequently sing in all of our classes. Will introducing my child to a second language confuse them? No, this myth has now been dispelled by scientific research showing that children are incredibly capable of absorbing up to three different languages simultaneously without any confusion between languages. In fact, bodies of research continue to show that bilinguals actually develop greater vocabularies in their mother tongue, and demonstrate superior reading, writing, analytical and even social skills compared to their monolingual counterparts. Bonjour Babies is a strong believer in providing access to quality educational services to as many people as possible. As such we have adopted a franchise model to enable every Australian child (and their caregivers) to have access to, and hence benefit from everything that our Bonjour Babies programs have to offer. To be suitable qualifier, you must have a genuine interest in perpetuating the benefits of bilingualism in children’s early fundamental years, be highly self driven, organised and motivated, and have exceptional interpersonal skills. Bonjour Babies teachers must be native French speakers and have requisite teaching or childcare experience. The franchisee may conduct all other administrative and marketing roles entailed in running the business. If you love working with children and their families and wish to support and encourage the cognitive benefits of language learning, then we would love to hear from you! What does a franchisee get from a Bonjour Babies franchise? Unrivalled competition, as Bonjour Babies remains the only language learning group that caters for infants as young as 6 months of age. Please feel free to contact us with any questions or enquiries!